The deck doesn't have any real game-ending combos, but almost every card falls under one of the categories that aim to progress or end the game. I consider the lifegain I have in the deck to be part of the pillow function, allowing me to take hits without using the disturbingly small amount of un-revivable and fragile creatures I have to block. Feedback would be great! 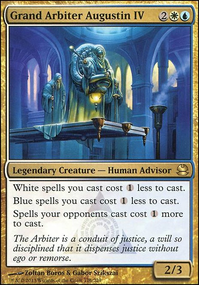 I've never actually played commander so I have a shaky notion of what's good and what isn't. I'd like to stay away from harming myself to harm others, but some game-enders might be needed instead of unblockable creatures.